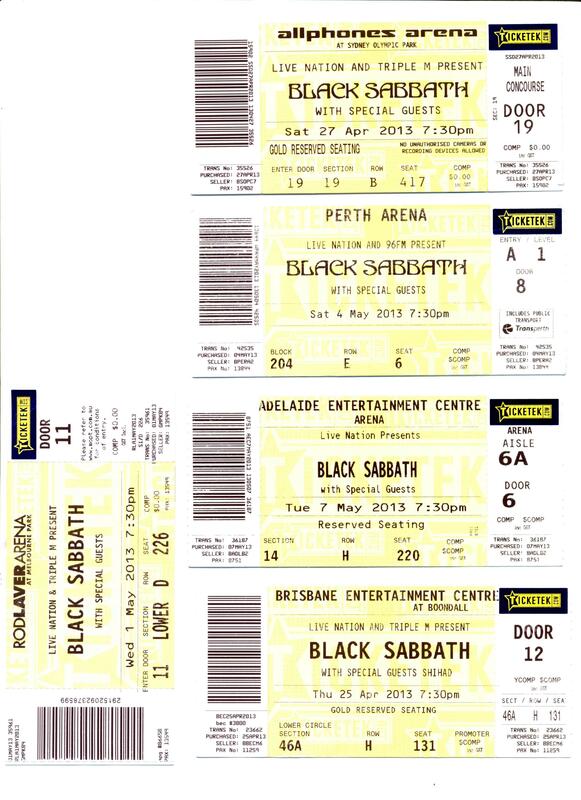 Snow Prevents Fan getting to seminal Sabbath's "Mob Rules" Tour at Stafford Bingley Hall! 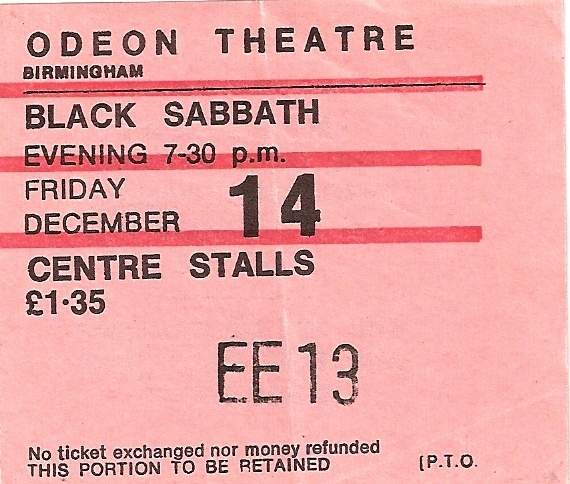 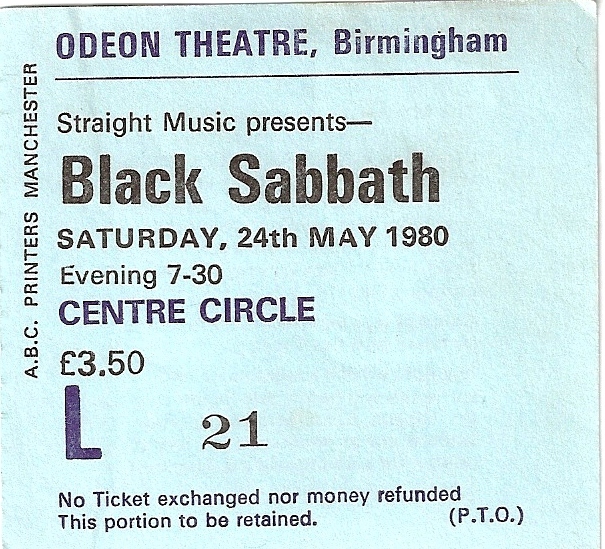 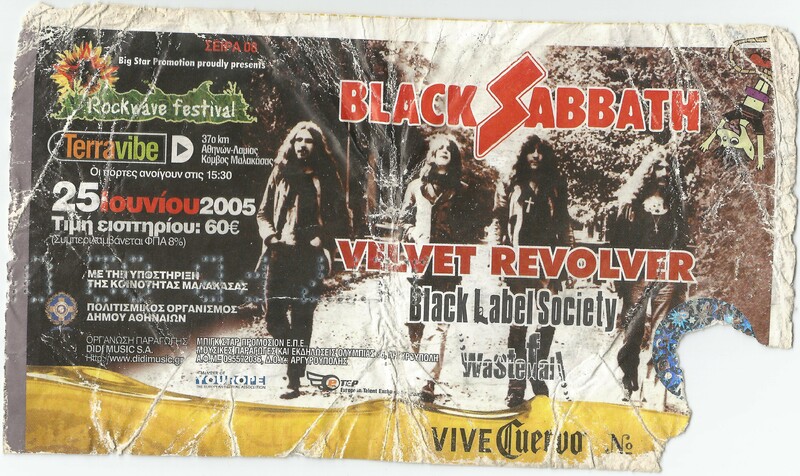 First time seeing Ozzy and Sabbath with Dio. 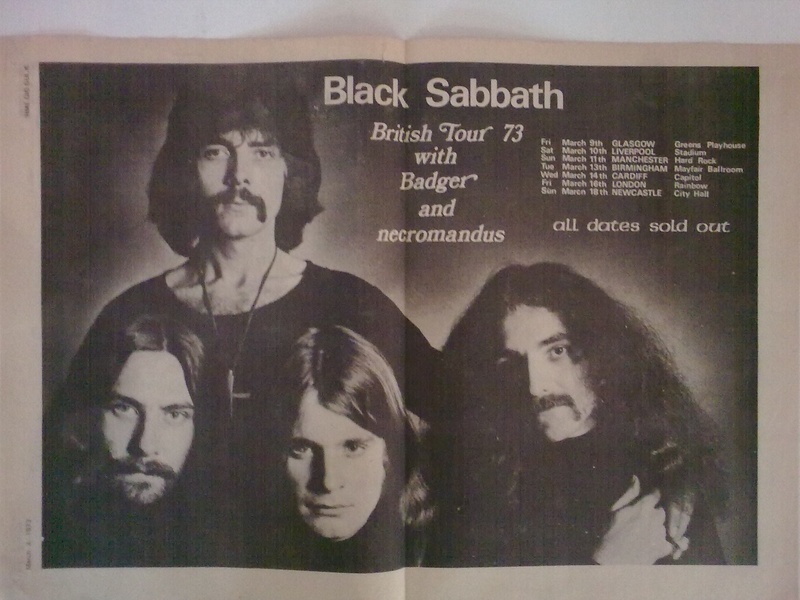 This was shortly after Randys tragic death. 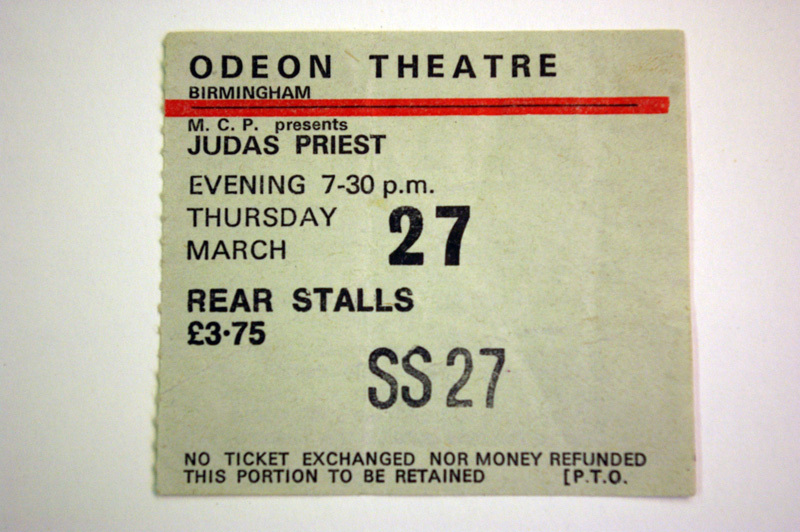 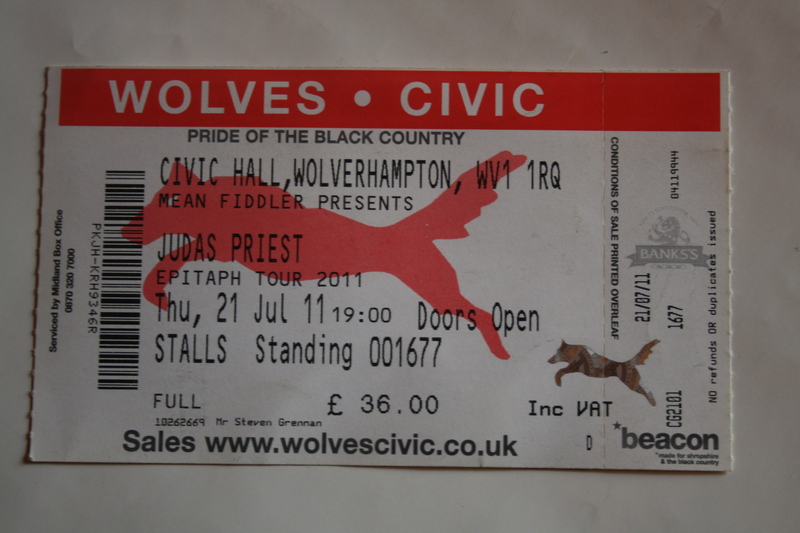 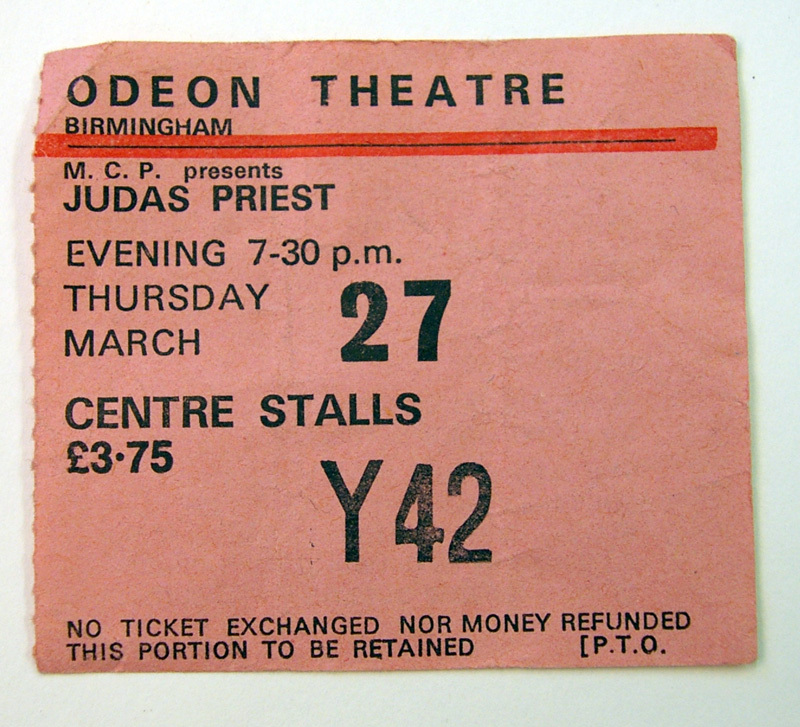 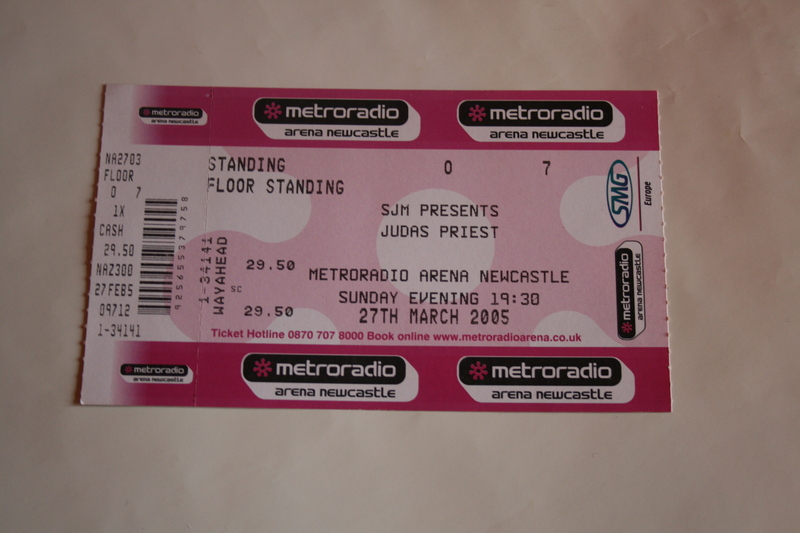 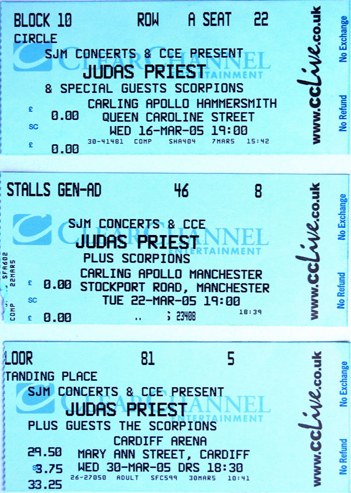 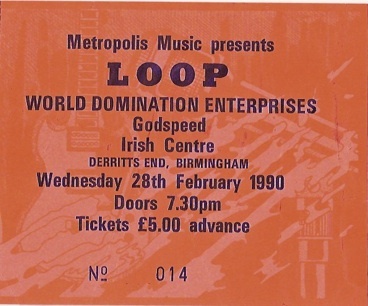 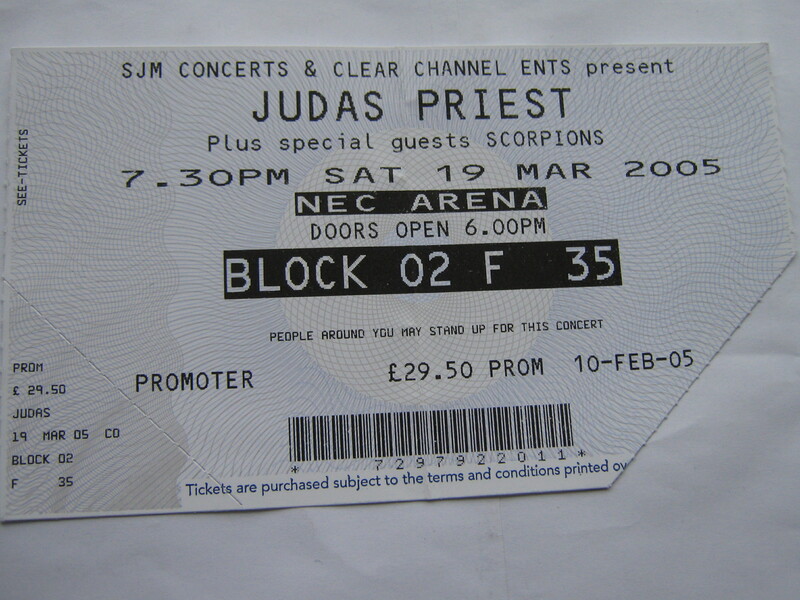 Ticket from Priest’s tour in 2009, gig at Manchester Apollo. 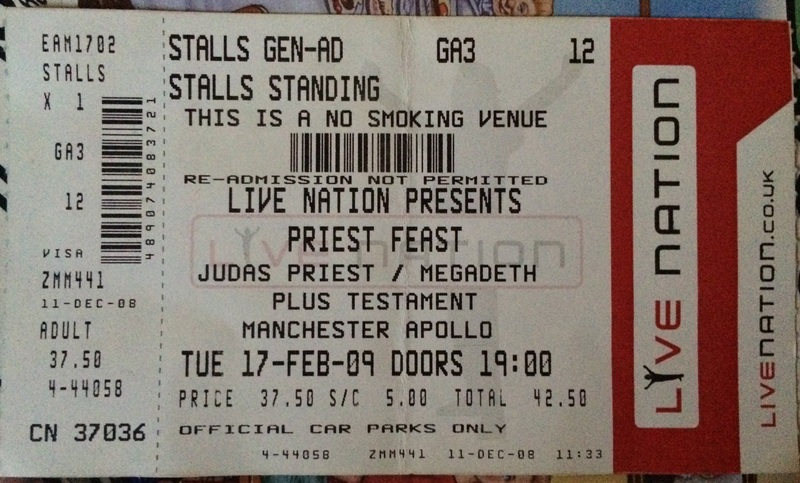 A real metal night with Megadeth and Testament as support. 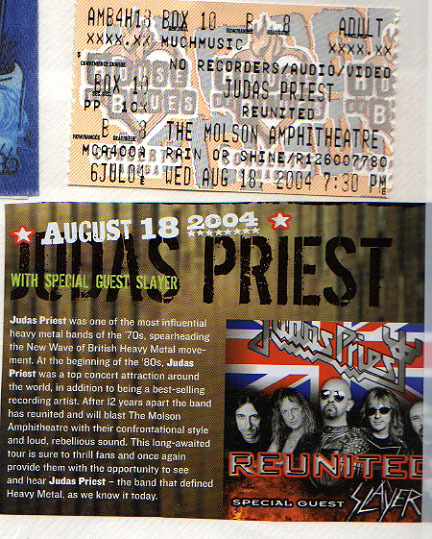 The mighty reunited Priest returns to Toronto. 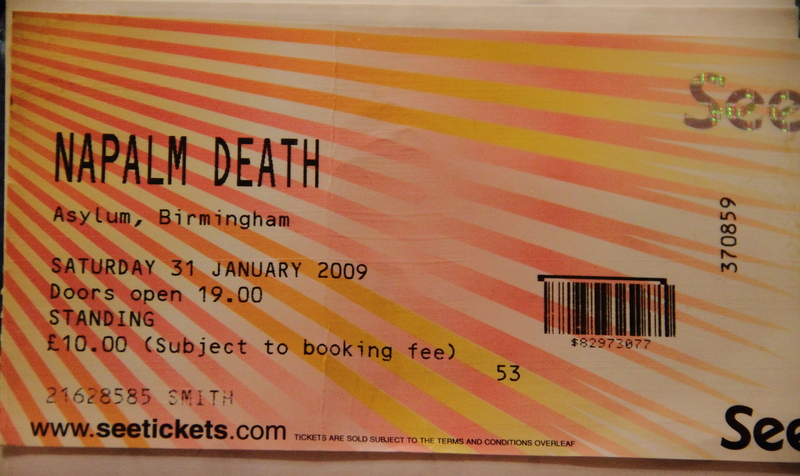 I went to this show the day after I moved back to the city so it was a hell of a homecoming! 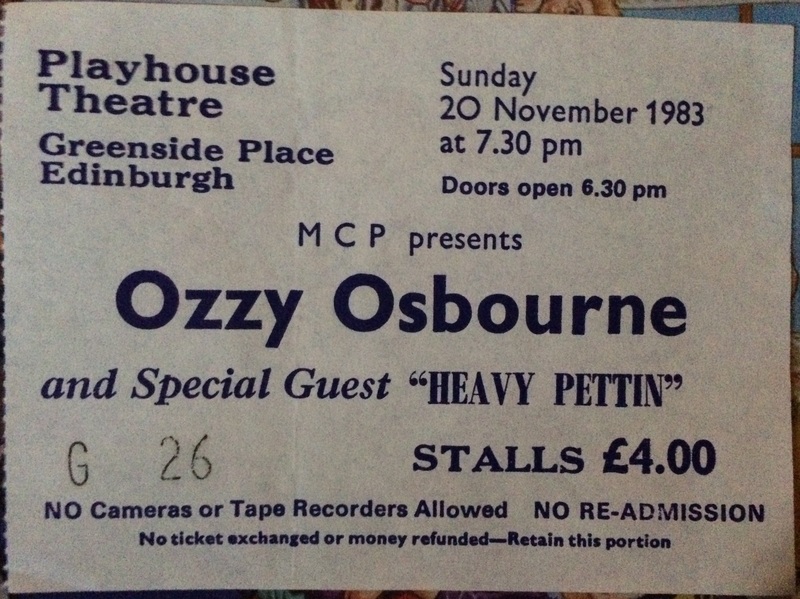 Ticket from the Ozzy gig in 1983 at the Edinburgh Playhouse on the Bark at the Moon tour. 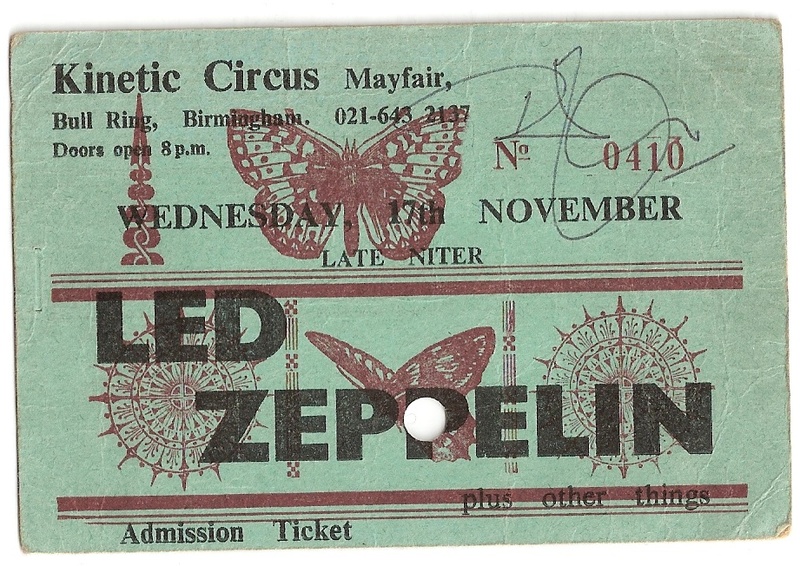 Philip Osborne describes the night and how the ticket came to be signed by Robert Plant. 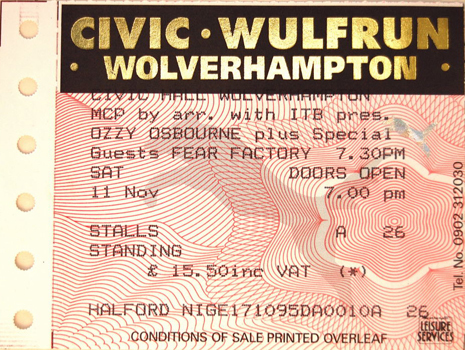 Ticket from Ozzfest 2002, with Ozzy Osbourne headlining. 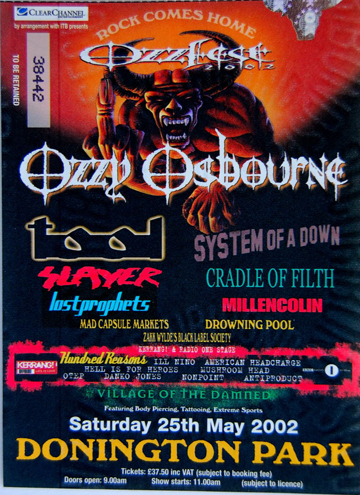 The event was held on Saturday 25th May 2002 at Donington Park.